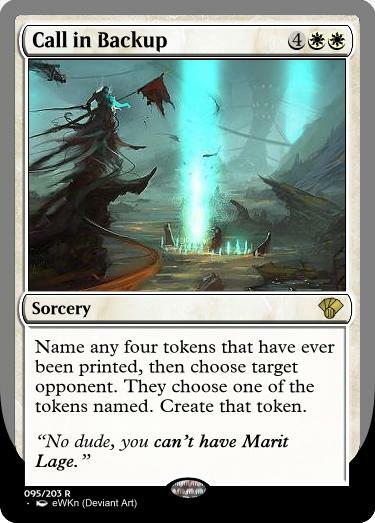 When Sophus Truthseeker enters the battlefield, you may search your library for a card that shares a color with Sophus Truthseeker with converted mana cost equal to or less than his power, reveal it, then put it into your hand. If you do, shuffle your library. "The gods have kept many secrets from us and I shall bring them to light." "The gods think death will stop me? It has only brought me closer to the truth." I'm trying to download the legendary frame, but failing hard. If I manage to get it before the deadline, I'll update the renders. EDIT: done. 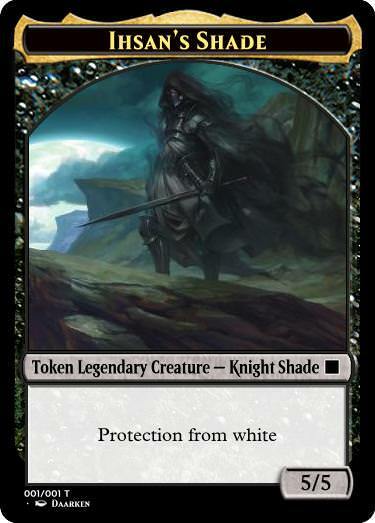 When Ihsan, Serra Paladin dies, exile it. 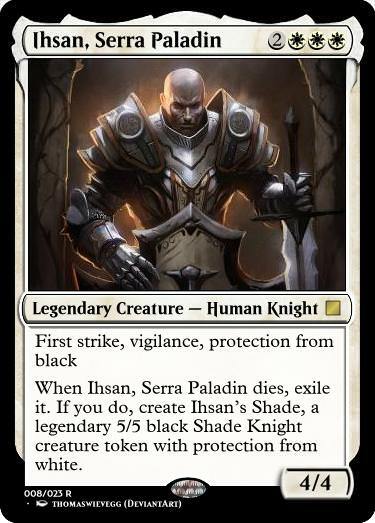 If you do, create Ihsan’s Shade, a legendary 5/5 black Shade Knight creature token with protection from white.